I could go on, but I’m done ranting for the day. Thanks for listening. It seems like every apparel startup that launches claims they’re “disruptive” and it’s Warby Parker’s fault. Since their launch in 2010, there’s been a swell in direct-to-consumer, online retailers who characterize themselves as a disruptive. I’d hardly call vertical apparel innovative. Warby Parker works because it is in a highly specialized market. You’ve probably heard the story. Luxxotica basically had a monopoly in glasses because they own Oakley and Ray Bans and manufacture frames for big name designers. Enter Warby Parker, who design, manufacture and sell glasses at fraction of the cost. They might have disrupted the system. I mean, would you rather pay $300 for Prada frames or $95 for Warby Parker frames that look very similar? Now there are online fashion retailers that, in more words, claim they are the Warby Parker of the apparel market. I hate to break it to them, but they aren’t. Name a company that was doing direct-to-consumer designer eyewear before 2010? I can’t. Name a company that was doing direct-to-consumer designer retail before 2010? J.Crew, Gap, American Apparel, Lululemon, the list goes on. If a company’s only claim to fame is they’re disrupting retail, they aren’t going to last because it’s not true. They’re not changing the game. They’re just joining it. The key is to find your niche. Localized clothing? Stock Mfg is a vertically integrated online clothing manufacturer, but they’re doing it all in the city of Chicago. J.Crew or Banana Republic quality tees for less? Everlane is selling t-shirts for $15. But if your marketing approach is “we are the Warby Parker of our industry because we’re vertically integrated,” I would think again. For entrepreneurs, a major goal should be to inspire the next generation of kids to start a business. With a quarter of teenagers dropping out of high school before graduation and a general feeling among students that school is irrelevant, teaching entrepreneurship may be just the right kick that the public school system needs to get back on track. Only two of the top five schools in the state offer an entrepreneurship class, so this isn’t exclusively a need to be filled with low-achieving high schools. I’m currently in high school, and up until this year there wasn’t an entrepreneurship course; even now, it lasts one semester and is an elective, which will be taught from a textbook. Not ideal for a skill that is supposed to be creative. How should entrepreneurship be taught? As I would argue for most all subjects, students (including myself) learn best by doing. The best way to learn crucial entrepreneurial skills is not to read a book about how to start a business; it’s to start a business. Week 1: Students are introduced to entrepreneurship by hearing 5 local entrepreneurs give talks. Weeks 2-3: Students begin to brainstorm ideas for entrepreneurial concepts and contact or are matched with potential mentors. Weeks 11-16: Students meet both with mentor and instructor to discuss moving forward. Upon approval by both, concept is launched and student begins to manage business. At the end of the course, students could shut down their enterprises, continue, or request to continue individually as part of an extended study. To administrators, this probably sounds ridiculous at first glance. The school system is set up to pump out students in quantity, and this requires individualized teaching and oversight. Having said this, the impact could be huge. Students would enjoy coming to class, would have an interest in learning, and could stand to make some money. The community would benefit in the long term from job creation and tax revenues… all from one class! What do you think? Is this a viable solution? By now, you may have seen a clip going around the internet of Stephen Colbert dancing to Get Lucky by Daft Punk after the duo “cancelled” for his yearly music festival. Initially, reaction to the clip was positive, with lots of tweets and shares on major news outlets. But then,people had doubts. First of all, there was evidence that both the Get Lucky montage and ensuing performance of Blurred Lines by Robin Thicke were taped at least a week in advance. In addition to this, it was noted that Comedy Central and MTV are both owned by Viacom, and that this could be an elaborate marketing plot for the Video Music Award’s. (The reason for the supposed cancellation involved an exclusive commitment with the VMA’s.) Even if the plot was not this complex, the New York Times reports that Daft Punk had never planned to be interviewed or perform, which runs directly contrary to the initial promises by the show. From any of these accounts, it can be inferred that The Colbert Report made a conscious decision at some point to deceive customers, and then reaped the benefits in the form of a widely shared video and lots of social media chatter. Colbert isn’t alone. Last month Chipotle launched a misleading viral campaign of their own. These two recent instances beg the question: for a team of marketers trying to get ahead, how much is too much? Is it crossing the line to intentionally mislead customers? In my opinion, while these stunts by major brands tend to appear desperate, similar marketing tactics can work well for startups. Large brands don’t need the thousands of shares these campaigns can generate, and have more of a reputation to tarnish. Startups are small and unknown in many circumstances; there’s little reason NOT to take a risk in marketing plays. This doesn’t mean that I would recommend a little known site to make an uncomfortable dance video like Colbert or tweet out nonsensical phrases like Chipotle, but I would encourage them to think outside the box. Any online startup news source or blog, for example, could have carried out The Sun’s royal baby prank, which garnered immediate national attention and cost little to nothing. Or, a founder could take a page out of content-aggregation service Reddit’s book. While trying to create a following, Reddit’s founders enabled an administrative function that allowed them to post tons of content under different user names. Although fake, it filled up the site with quality content and made users believe the site was alive and active. Should you employ any of these tactics? If you don’t have much to lose, maybe. Should Chipotle or Colbert? Absolutely not. What do you think? 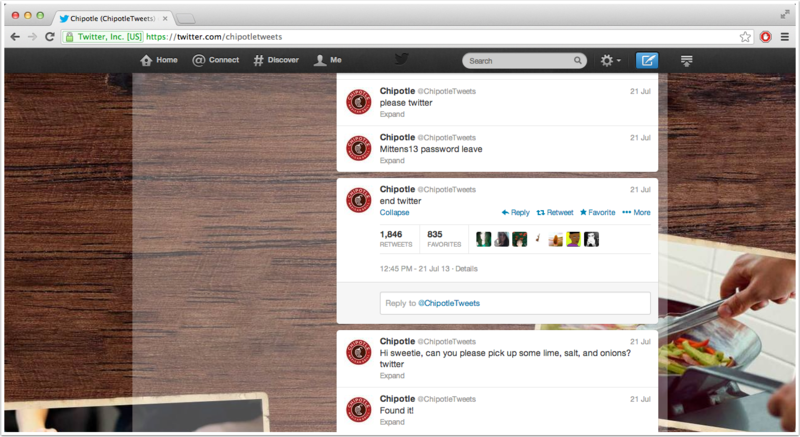 Is it acceptable for brands (big or small) to purposely mislead their customers in order to get ahead? 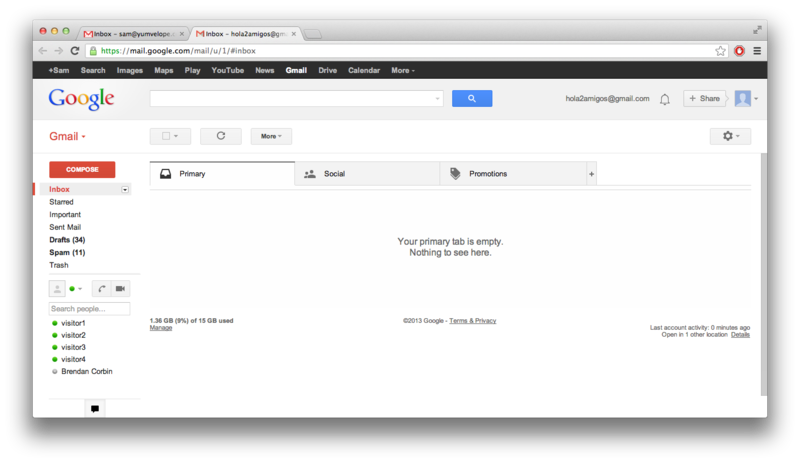 Google just single-handedly destroyed email marketing. No, seriously. First, let’s identify an important fact: what Google does, others do. Gmail in particular has arguably always been ahead of its competitors, although they do make attempts to replicate and often blatantly recopy new features. Take, for example, storage. Gmail launched in 2004 with the promise of 1 gigabyte of free storage. Although that may seem miniscule in comparison to the 15 gigabytes offered today, at the time Hotmail offered 0.2% of that, and Yahoo 0.4%. Needless to say, people were shocked, but not too shocked to prevent them from switching. Very quickly, both major players upgraded their storage space to the point where both currently offer unlimited space at no charge. So what did Google do that just killed email marketing? Very simple: tabbed browsing. With their new update, you’ll see 3 tabs by default at the top of the web interface: Primary, Social, and Interface. Primary is where all of your normal email will go—think emails from family, work, and other personal communications. Social takes all of the emails you get from social providers like Facebook and Twitter. Finally, promotions. Anything from an ecommerce website or with a promotional call-to-action seems to unfailingly be filtered into this folder. Even emails that I might have otherwise clicked (for example, an email letting me know of a $25 account credit at Gilt) were dropped into this folder by default. While all of this doesn’t prevent the user from reading your emails about sales and special deals, it certainly makes it far less likely they will. Why would anyone click on the promotions tab if they know all of their important mail was automatically filtered for them? They won’t; if they do check on their promotions tab, it will be less frequently and after checking the primary tab. You’ll also lose impressions—even if they didn’t click on your link before, users were still thinking about your brand after seeing your email in their inbox. At least at the moment, it’s not all bad news. Google’s update has yet to roll out to 100% of its users, and it doesn’t affect desktop or mobile clients like Mail or Outlook. Additionally, Google is the only major provider to have currently adopted this. . But, due to the percentage of users Google has rolled out to and the obvious usefulness of having important emails weeded out from the rest, I believe tabbed browsing is here to stay. Undoubtedly this will start in Gmail and spread outward, so it’s time for email marketers to get a new plan. No longer will sellers be able to capture emails in exchange for an e-book, nor can they advertise their products in an email blast. Will we see an increase in personal communications from seller to potential customer? A return to the proliferation in phone and direct mail marketing from the past decade? Watch this space. In my last post, I criticized Facebook’s user experience. I think it’s flawed but so is the UX of all the other social networking sites. I just want to be able to filter the information I see on my Newsfeed more effectively. I also want to know who unfollowed me on Twitter (because why would anyone unfollow me since I’m hilarious) and post videos on Instagram (oh wait). These flaws in social media don’t stop people, including me, from using them. However, if The Zuck reads this (doubtful), I would love to be able to blacklist certain topics from my Newsfeed because nothing is worse than Teen Wolf spoilers. I like to Facebook stalk people, and don’t you dare judge me because you do too. As I’ve said before, it’s helpful when my friends are talking about someone I don’t know. With a few keystrokes, I know where he went to high school, where he works, what TV shows he likes and where he went on vacation last summer. I’m nosy, so nothing fulfills me more than knowing everything about a total stranger that doesn’t know I exist. This “creepiness” translates well into business. You don’t have to stalk out every potential customer. That would probably take too much time and might present some sort of legal liability, but you can use the information to hypertarget an audience. So if you’re selling a line of vegan snacks, you could target an ad to females, 18 and older, living in California who practice yoga and like Whole Foods. Because, let’s be honest, they’re more likely to want your product than someone like me, who is a regular at Taco Bell and leads a sedentary lifestyle. Advertising is cheap too. You can reach thousands of people for like $5 a day. That’s probably less than you spend at Starbucks every morning. Our partner, The Spish, reached 46,935 people and gained 649 likes on Facebook by spending $17 over three days. Once you’ve started to build an audience, you can start engaging with them. Customers are like that Cheap Trick song. They want you to want them. Responding to comments or providing incentives (like coupon codes – everyone loves coupon codes) to engage with you and your content makes customers feel wanted. And you get more than 140 characters to do it. So if you’re running a business, use Facebook. Also, if your startup has created a blacklist feature for Facebook, I’ll be happy to promote you. I mean, I have about 600 friends and it’s probably too cumbersome for them to block me from their Newsfeed. Another year, another successful TechWeek. This year didn’t disappoint, with exciting new Chicago startups, enlightening panels, and awesome competitions. Dashfire started out the week at the Expo where we heard all about Crowdfynd, tried out Freeosk’s sample vending machine, and tested our physical strength with the nextstep.io mobile app. Also exhibiting were Dashfire portfolio companies Tablesavvy, DigitalGroundUp, Stock Manufacturing Co., and PackBack Books! Next we moved on to the panels. 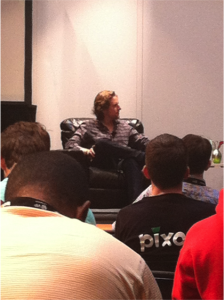 First, we sat in on an SEO panel. (Did you know that it can take Google 30 days to reindex new content?!) 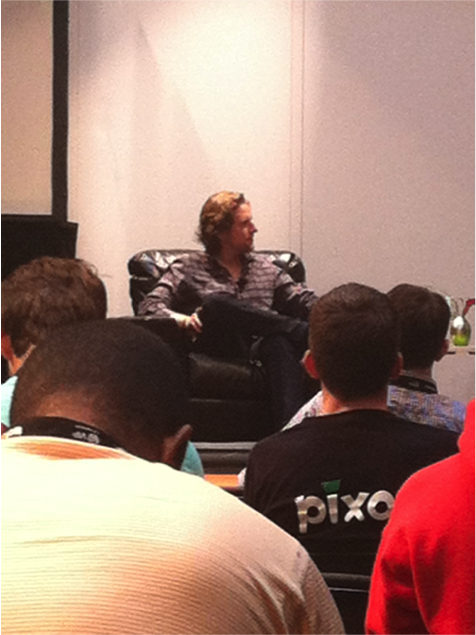 We also learned about Bitcoin and heard from Matt Mullenweg, founder of WordPress. 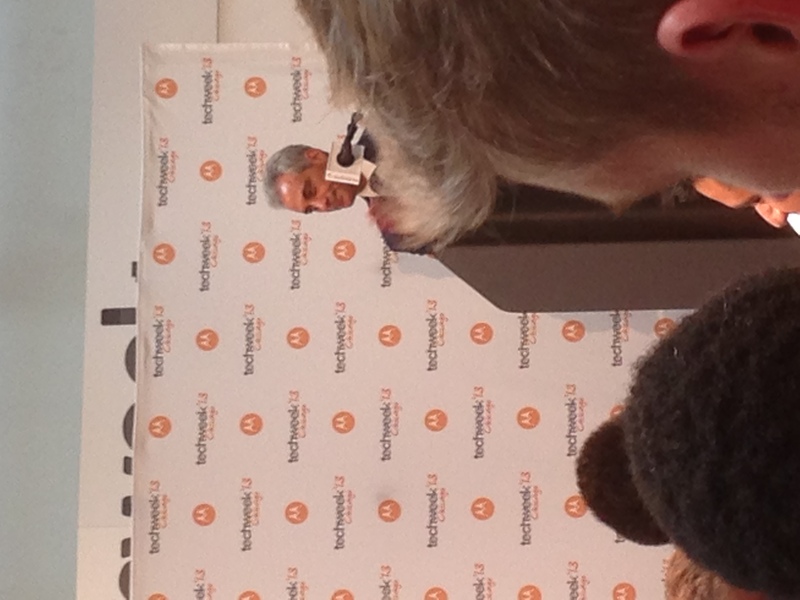 We concluded Techweek at Launch, a competition to find the best new Chicago startup. 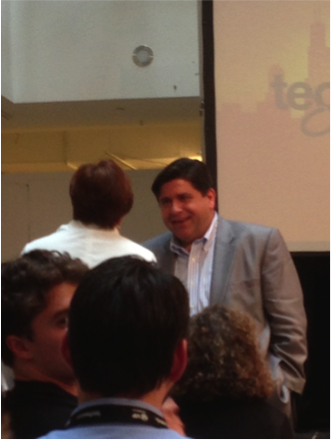 After a brief introduction from J.B. Pritzker, five startups gave a quick presentation on their startups. After a short round of deliberation, the winner was crowned—WeDeliver. WeDeliver won over $100,000 in prizes and services. 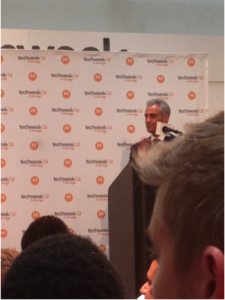 To round out the night, there was a short presentation from Rahm Emanuel. I want to delete my Facebook profile. At the end of my sophomore year of high school and after much prodding by my best friend, I joined Facebook. I’ll admit I was engrossed, but it didn’t really face any competition. I mean, no one I knew had Twitter and Instagram was still a glint in the eyes of Kevin Systrom and Mike Krieger. Five years later, I’m on Facebook, Twitter, Instagram, Tumblr, LinkedIn, Pinterest and (kind of) have a blog. Occasionally, I get asked which I use most frequently: I use some (Twitter and Tumblr) more than others (I’ve never “pinned” anything in my life). Perhaps I’m in the minority, but of all the social media network whatever channels, I hate Facebook the most. I go to Facebook maybe once a week and I’m bombarded by things I don’t really care about. My newsfeed is full of updates from people I barely knew in high school and my cousin’s cousins; it’s basically a conglomeration of updates from people I don’t want updates from. Maybe I’m doing Facebook wrong; I have about 600 friends and I’m interested in maybe 100 of them. And yeah, it’s fun to see what that kid from elementary school looks like and where he goes to school now, but I honestly couldn’t care less that he was wanted Boston to win the Stanley Cup or that this week’s date night is going to see Man of Steel. Curating the information I see is time consuming. I can block people from my Newsfeed individually or unfriend them one by one, but I much rather just ignore it and go to Twitter. If I look at the 86 people I follow on Twitter, it’s people I actually know, people I work with and a few of my favorite celebrities. They tweet things to get a laugh, comments on current events, links to things they found interested and the occasional humorous, random thought. In 140 characters, it’s all very unimposing. If it’s a link or a video or a picture, I click if I want to know more. The updates I get from Twitter may be a little innane compared to the “life events” posted on Facebook, but I’d rather know a close friend of college is eating frozen yogurt than see 800 photos of an acquaintance from high school traveling Italy. When Facebook debuted Timeline, I remember reading that they wanted to become the online of your entire life. The goal was that users would document everything and add in life milestones starting from birth. I don’t want that. Who wants that? If I could erase all evidence of my existence from 2006-2009, I would. My Facebook friends can easily scroll through my Timeline and find the dark years in all their pimply, brace-faced glory. Will I delete my Facebook any time soon? Probably not. It’s too valuable when my friends are talking about someone I don’t know and can just look them up, but that’s basically all it’s good for at this point. Facebook is all about the past, but I think the Internet is all about the present and the future. If I want to look back on high school, I’ll look at my yearbooks. I was editor-in-chief, so there are only pictures of my good side. This weekend, start a business. You might think that there’s something inherently wrong with this statement: building a real business takes months, years even. This is often true, but you can come up with a solid concept and often a working prototype up for a workable business within a matter of days. Brainstorm- Write down things you love for 10 minutes. This is probably the easiest step to your process. Anything that comes to mind, write it down. 10 minutes is longer than you think. Eliminate- Take a look at what you wrote down. The ultimate goal of this exercise is to build a business out of one of your interests; what would either prove to be nonviable or uninteresting? When I did this exercise initially I wrote down Parks and Recreation, Veep, and The West Wing. Getting into the television production market isn’t too realistic without funding and creating fan fiction isn’t of much interest to me, so I crossed them off of my list. Select- Pick out 2 to 3 of your favorites from the businesses above, and now test the concept. Tim Ferriss has a great post up on validation here; definitely go through his process to prove it. You’ll attempt to find 1,000,000 potential customers via Google Trends, Insights, competition analysis, and more. Get started– Depending on the type of your concept, several tools can get you started online. Want to start an ecommerce store? Set up a listing at https://www.shoplocket.com/ and then share it with your friends. Subscription commerce? Start out at http://member.ly. These sites are perfect when you’re just starting out as there are next to no startup costs and can be set up in under an hour. So that’s it. In the last 5 steps, you’ve gone from no idea to a solid concept or prototype! Okay, Internet fame is definitely an overstatement, but I did make it onto BuzzFeed. Back in March, I was doing some online shopping between classes when I came across a video on American Eagle Outfitter’s website. It was supposedly an ad for their latest line of skinny jeans, which they touted as the skinniest on the market. Intrigued, I watched it, only to see a montage of legs and naked butts painted blue to resemble denim. Traumatized, I posted it about it on Tumblr before I headed to my next lecture. The post got over 12,000 notes (an aggregate of reblogs and likes, think retweets andfavorites). This was quite a feat, considering I had less than 1,000 followers at the time. A staff writer from BuzzFeed had seen my post, wrote about it and named me as his source. But while the post and the notice that came with it temporarily satiated my personal, never-ending desire for attention on the Internet, American Eagle was the real winner. Over the next couple hours and even days, news spread about the video. Internet news sites like Mashable and Huffington Post ran articles about it and many of them credited BuzzFeed as their source. American Eagle got an interview on The Today Show with the headline “Best Marketing Campaign Ever?” running across the screen. But even if American Eagle can credit any of the attention they got to Tumblr, they didn’t directly post the content on the platform. A third party spread it around, and this is a fairly common practice. Despite how easy it is for the content on the site to go viral (with 116.6 million blogs and 185.6 million unique visitors per month), most businesses haven’t established a strong presence on the site at all. Interact with followers and reblog their content. Every Tumblr user wants to gain followers and be reblogged. Unlike Twitter, your follower and following counts aren’t displayed publicly. So follow back! And interact! Reblog content that is applicable to your brand or aesthetic! Your blog should be a collection of content that you’ve carefully curated! Denny’s Diner has done a great job with this. Tag your content. The search feature relies on tags, not keywords. The feature only catalogs the first five tags on a post, so choose wisely! Also note that only original posts will appear in search results: if you reblog a photo and tag it #architecture, it won’t show up it the architecture tag.